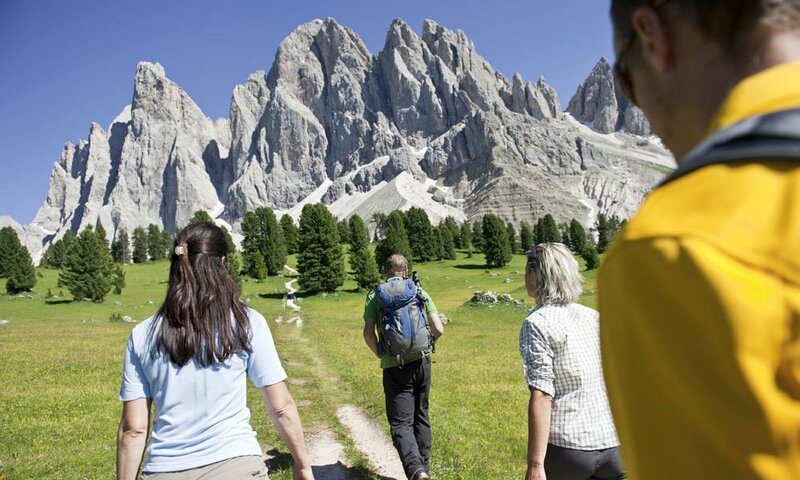 Since 2009 the impressive rock formations of the Dolomites have been a World Heritage Site by UNESCO. 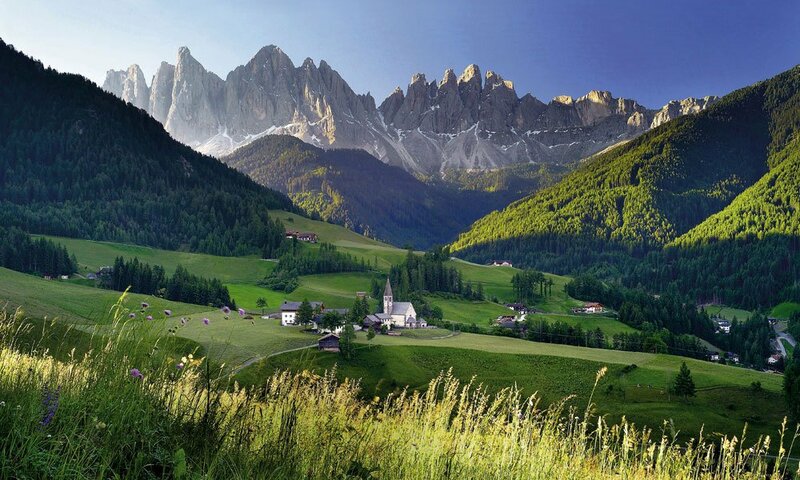 A particularly impressive area of this Alpine region in South Tyrol is located in Villnöss. The jagged, sharp rocks of the Geisler group are a prominent landmark of the Dolomites. The sun conjures up in the summer months, changing reflections of light on the light limestone. Up to a height of over 3,000 meters, the striking rock towers loom over your vacation home and the entire municipal area in Villnöss valley. 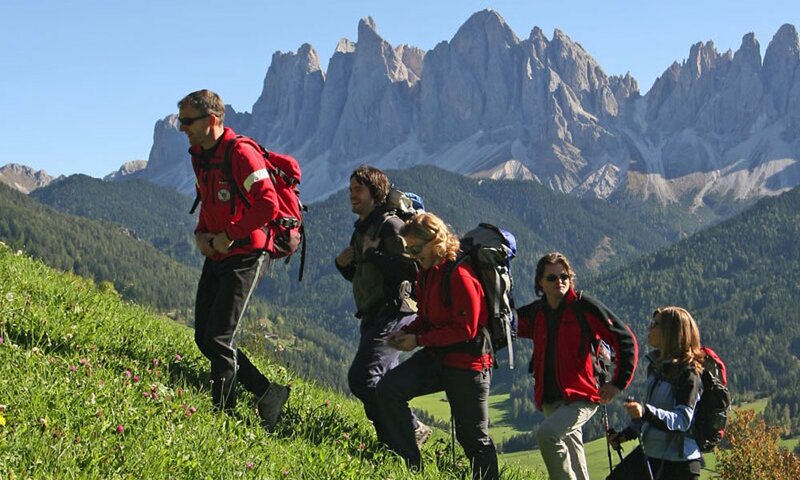 In the nearby located Puez Geisler Nature Park, the whole beauty of the region opens up, while hiking in the Dolomites. 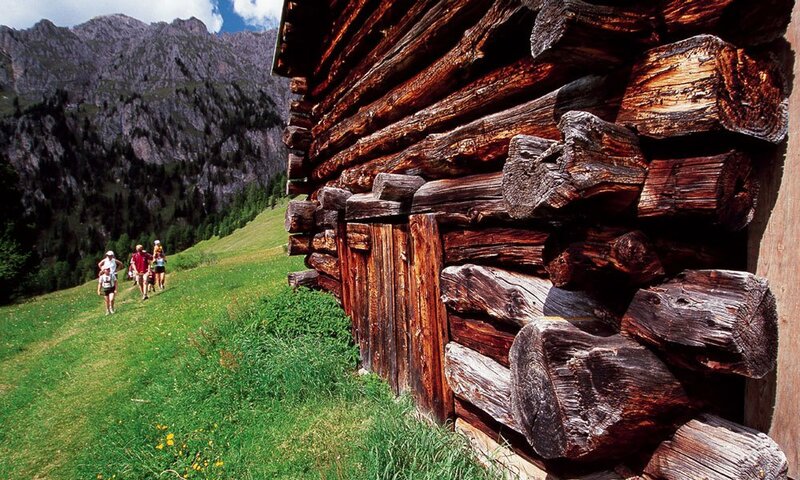 A well signposted network of trails runs through the entire region around the Proihof farm. In summer alpine roses and gentians set colored highlights in the luscious green meadows. 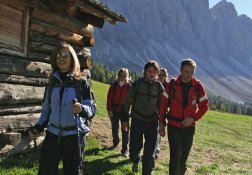 On mountain walks you encounter chamois and marmots and rushing mountain streams are your constant companions on the wonderful tours. 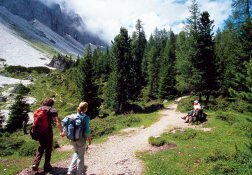 Popular are the hikes along the Sunnseiten path and the mountain tours to Vikoler Jöchl. 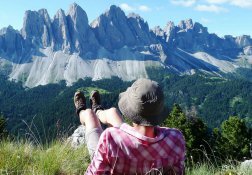 Amazing views over Villnöss valley are included while hiking in the Dolomites. A special highlight is proper of the trails in Teis’ district. These routes are known for the rich deposits of natural minerals. 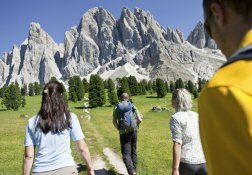 Besides hiking in Villnöss the holiday in the Dolomites has its own charm in every season. 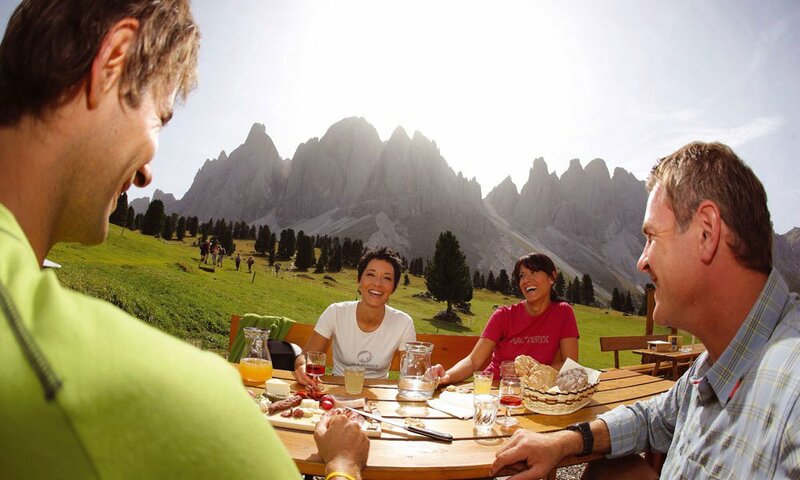 In the spring during the “Culinary weeks” in Villnöss you become acquainted with the hearty South Tyrolean cuisine. In high summer, alpine huts in the mountainous regions invite for a pleasurable stay and the autumn produces a bizarre play of colors in nature. Chestnut and maple trees stain colorful and everywhere the tasty chestnuts are offered. 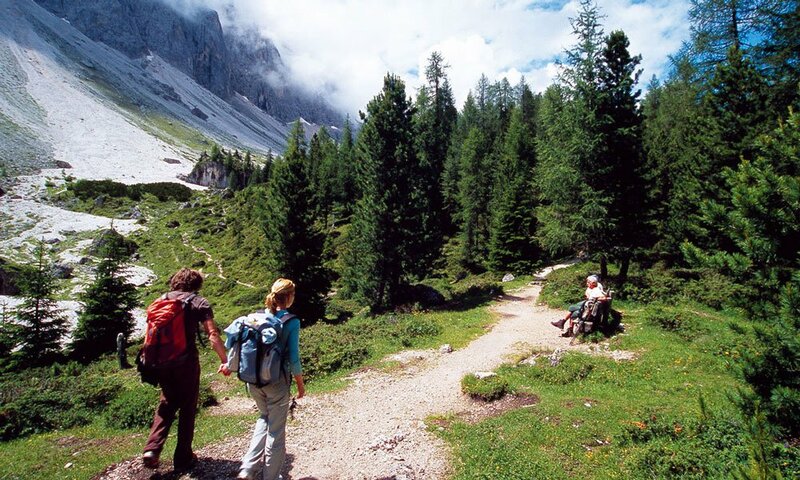 The hiking in the Dolomites has a special fascination in the Geisler group and in Villnöss valley. 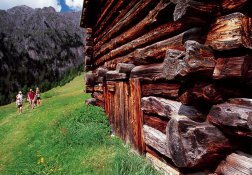 The Proihof is suitable as a starting point to wonderfully explore the unspoiled mountain region.